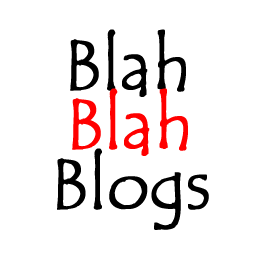 Blah Blah Blogs: BONIFACIO what?! so... what are we celebrating? no work or classes (yesterday due to the move on the date)? Double pay (for call centers)? Wreath laying ceremonies (for government offiials)? It is actually his birthday today. 101 New York ushers the Holiday season with an homage to the future with a glimpse of the glamour era of the past. Entering into a time of futurism, 101 New York brings in fresh takes on anything slick and elegant from the bygone days of 1920’s New York. It is about escape, explore, and shine. It is a tasteful and glamorous celebration of the future. A chic, futuristic, and elegant spirit is epitomized in the Holiday collection. For men, the classic peacoat is re-interpreted in the most comfortable cotton twill, the length is cropped to create a more contemporary appeal and cut close to the body for a more defined look. The tuxedo shirt, which was worn only in black-tie events, is revamped to a more casual, yet, sophisticated cut with fabric combinations and paired up with coated dark denim pants, perfect for a night prowl in the city. Blah Blah Blogs Lotto Loco U! Yan ang nais mong makita kapag dumaan ka sa isang lotto outlet tungkol sa resulta ng 6/55 grand lotto. Sa ngayon nasa higit kumulang P600 milyon na ang premyo sa naturang laro ng tsamba at matinding swerte. Ito na nga ang pinakamalaking papremyo sa kasaysayan ng laro at sa buong bansa. Isipin mo nga na sa isang iglap, maari kang maging higit sa kalahating-bilyonaryo mula sa buhay mo ngayon. Isang bagay na bihirang mangyari sa higit na 92 na milyon na Pilipino ngayon. I was recently invited by a good friend Jayson Biadog on his celebration of the Winners Circle winners at Wendy's Boni. It was an event that he organized by himself. He is actually really one cool blogger as he himself is a winner in many different ways, and most especially in winning contest. Now, he wants to share this to fellow bloggers both old and new. My blog is even older than his but he was actively joining contest in the past that he was able to go to Singapore and date a beauty queen there. Now, for this event he gathered fellow bloggers to celebrate the winners of the Winners' Circle contest in his blog. But it feels that all who attended the event are already winners in their own way as they are also successful and also has their own story to share. Most of them are new bloggers and mommy bloggers. Present in the event were Jonel Uy and Ms. Janette Toral who also shared their wisdom about blogging. KAOS, a musical masterpice showing at Resorts World Manila! I am very excited that Resorts World Manila has a new attraction right now that will showcase a world-class entertainment like KAOS. This Spectacle is like a fusion of luxurious Las Vegas and the Musicality of Broadway. Featuring world-class Pinoy talents such as Gian Magdangal, Martha Joy (Phil-Canadian actress), and Joel Trinidad to name a few. A very interesting and thrilling story that we could watch out for. 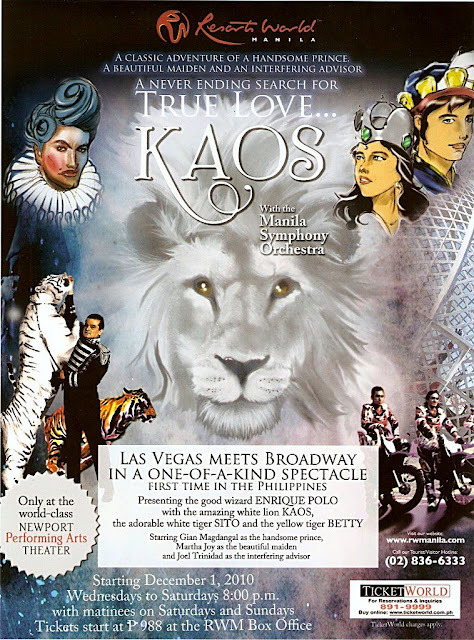 These three strong cast are sure to captivate audiences with their performance of original songs that are specially created for the production, with no less than the Manila Symphony Orchestra providing the musical score.Central to the story is the title character, KAOS, who happens to be a real, live rare white lion! KAOS is part of the menagerie of world-famous animal performers which are specially trained by the Spanish master illusionist Enrique Polo, who will also be part of the show along with his lions and tigers. In celebration of the World A.I.D.S. (Acquired Immune Deficiency Syndrome) Day on December 1, 2010, a special dance competition dubbed “Make Your Move” will kick off at the SM Mall of Asia (MOA) Music Hall at 10:00AM on the same day. College students and call center agents can participate in this one-day dance competition with over PHP 175,000 in cash prizes up for grabs. To join, simply form a group with a minimum of eight (8) members up to a maximum of twelve (12) members to a dance group. Members may be all male, all female, or a combination of both. All dancers must be bona fide college students or currently employed as call center agents/officers. Groups may simply fill up the registration form, bring valid IDs for verification purposes and a video of the dance choreography. The dance routine should not be more than 5 minutes and must incorporate “AIDS Awareness” as a theme. All requirements should be submitted to On Ground Activation, Co (see contact details below). Another institution in the radio industry just left the airwaves, NU 107 the premiere rock music station that helped discovered Pinoy rock and alternative artists had closed down to be changed into a "masa" station. This move was a corporate decision yet, many people are sad to hear that for the sake of business, quality OPM music will never be the same. Honestly, I not really an avid listener but I do wish that they would kept it since there is also the silent majority who listens to them. The "masa" stations as they pose a threat to Pinoy radio as a form of all Pop and many has joined the bandwagon. In the past decade, there is not of this format but if it will continue, all stations would actually sound the same, no diversity, now that is boring. And though NU is now off the air, it will rock on until infinity in the hearts of its listeners and artist! 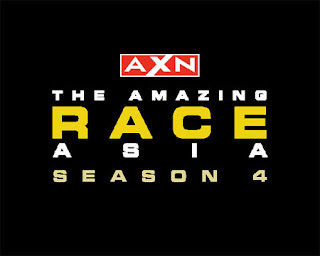 Pinoy Leads The Amazing Race Asia Season 4! Discovering Fun and Facts at the Nido Fortified Science Discovery Center! Grand Fiesta Fun Run at Resorts World Manila! The Grand Fiesta Run 2010 is near! Resorts World Manila (RWM) will bring back the “fun” in fun runs on November 28 in Newport City, and everyone’s invited to join! Prizes await winners, and participants get a shot at the amazing raffle prizes! Come in your weirdest and wildest fiesta-inspired costumes, or suit up and grab your briefcase for an unforgettable rat raced theme run. Prizes await for the Best Dressed, Most Unique, Biggest Group/Company, and Wildest Costume. For those who want a bit of a challenge may opt to join the 3K, 5K, and 10K categories. Runners may select their finish chute for the chance to win prizes such as shop, movie, spa, hotel, and cruise gift certificates. Not only that, incredible raffle prizes await the participants. RWM will be raffling off a 3D/2N stay at Resorts World Sentosa for four (4) with free tickets to Universal Studios OR a cruise for two (2) to Singapore and Malaysia and back to Singapore. Tradition makes life more interesting as we celebrate it with friends and family, but for a unique celberation like All saints and souls day is also a celebration of life and death. It is something that we worry too often but never know when will it arrive. Todos los santos, or commonly known as Undas or All Saints' Day is celebrated all over the country to commemorate the departed loved ones and take time to visit them a their resting place.